"I’d like to present the most unpopular version of the beautiful Claude. It was the most unpopular because pilots at the end of the 1930s preferred to feel the air stream in open cockpits. 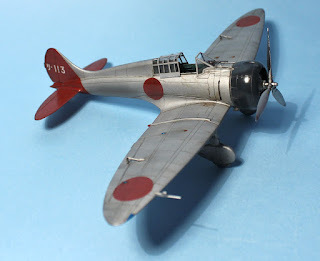 When Mitsubishi Type 96 Kansen Model 2-2 with an enclosed canopy was in 1937 (Showa 97) accepted by the Nihon Kaigun in 1937 (Showa 97), the new enclosed canopy was criticised for limiting visibility during combat The pilots of several units had the sliding hood removed from their aircraft. A total of 124 machines with enclosed cockpits were produced, followed by a modified version which featured only the windscreen without the rear glazing and sliding hood. "I chose to model the machine that served with the Hyakurihara Kokutai in Ibaragi Prefecture just at the turn of 1941/42. This machine is recored in two photographs which show some interesting features. The cowling, even after several years, is still gleaming like a mirror and has only few scratches around the fasteners. All Hinomaru and tail planes that were sprayed with the same colour are glossy, too. "The rest of the machine appears to have been treated with aluminium anticorrosive dope that after some time had lost its shine and degraded towards a greyish hue. The use of protective anticorrosive lacquer (which had been applied from the A5M2b late version) seems doubtful for this machine and even for most A5M2b early machines. As with most naval machines operating from land bases, this one has had the arrestor hook removed. As one of the few visually recorded machines with the sliding hood it does not carry an external fuel tank. These 160 litre fuel tanks were smaller compared to the more commonly used 210 litre tanks introduced with the late production A5M2b. "The model was sprayed with Alclad matt aluminium. The other paints used were Vallejo, Lifecolor, and my preferred Tamiya clear colours for the formation lights. 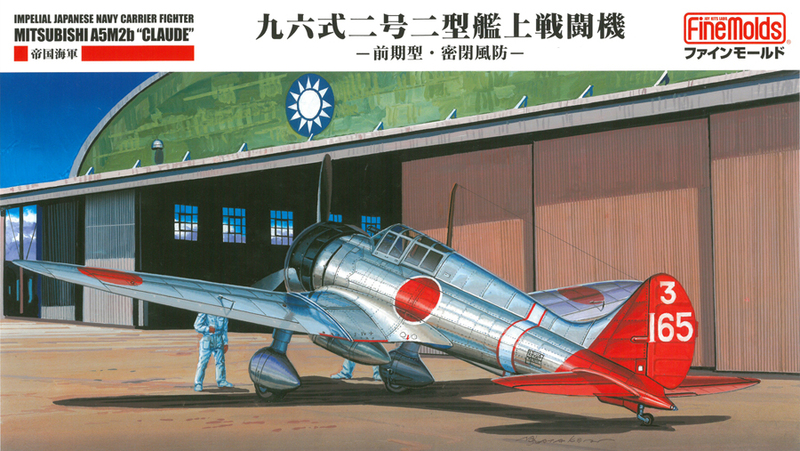 All Hinomaru, tail codes and propeller markings were sprayed using masks, the only decals used were the stencils and data plates. Weathering was done using MiG products and artist pastel chalks. The objective was to have fun building the kit and to achieve my own idea of how it should look compared to the relatively well maintained aluminium coated aircraft." 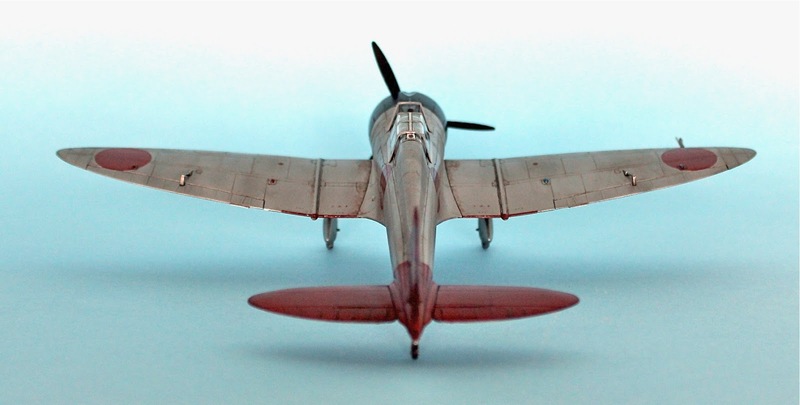 As for the Ki-61, Jan has produced Dead Design canopy masks for all the Fine Molds A5M kits (including the 1990s released A5M1, 2a early, 2a late and also for the A5M2b early as modelled here) which include wheel and wingtop light masks. Jan does not hold a large stock of masks in his webshop as he does not wish the tape to deteriorate in storage, hence the 'Freshly Cut' logo on his packaging. With special thanks to Jan for sharing these images and his build report on a Claude variant which is not unpopular with me, as well as the information about his specialist range of painting masks. Image credits: All model photos and product images © 2018 Jan Hajicek & Dead Design; Box art © 2017/18 Fine Molds Corp. Very nice luster and weathering! What a beautiful rendition of the Claude....I too like this variant. The weathering on the NMF looks perfect to my eyes. Great work, Jan! Nice Claude! I like your build. Talking about the aircraft itself, I personally feel the early A5M2 featuring fully enclosed cockpit look way better than the various other versions of windshield only. Beautiful model and photography, Jan! The type looks pretty sleek with its birdcage canopy. Really nice finish. Most wonderful! thanks, Jan and Nick for showing it to us. The weathered metal finish on this model is fabulous! Great work!